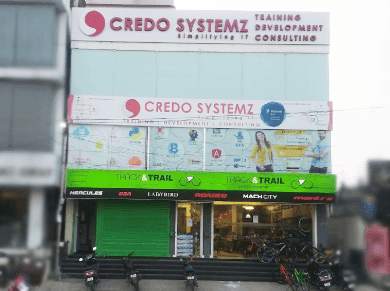 Credo Systemz provides Rust programming courses in Chennai as interactive conversation and hands-on practice on how to do coding using Rust through classroom, online and corporate training program. 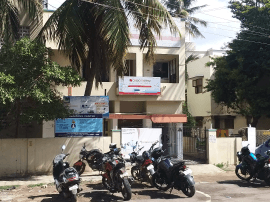 Before taking this Rust Programming Training in Chennai, an intermediate level of knowledge in and a solid knowledge of a high-level programming language like Java, Python or C is required. Candidates who do not have this prerequisite may contest with the content and step of the course. The Rust Programming Training course is certainly intended for intermediate programmers with advanced programming knowledge and faith to work with a code editor. This Training is managed at architect, engineers, and programmers who want to incorporate Rust into their projects. The course begins with a detailed review of Rust ideas and slowly proceeds to advanced concepts such as vectors, tuples, generics, ownership borrowing, and crates. Rust Programming is the most popular which is a systems programming language developed by Mozilla. Rust is a systems programming language concentrated on three goals: safety, speed, and concurrency. After successfully accomplished this online Rust Programming Training course in Chennai, you will get an entire Skillset knowledge of Rust fundamentals, memory management in general, systems programming in particular. Detailed instructor led sessions to help you become a proficient Expert in Rust Programming. Build a Rust Programming professional portfolio by working on hands on assignments and projects. Lifetime access to downloadable Rust Programming course materials, interview questions and project resources.